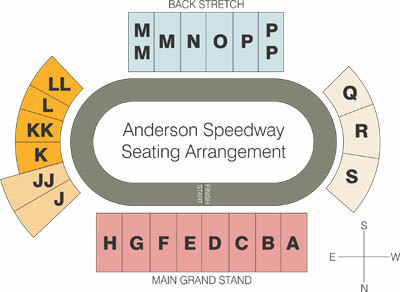 ThunderCar 100 Tops Racing Action this Weekend - Anderson, Indiana Speedway - Home to the World's Fastest High-Banked Quarter Mile Oval! 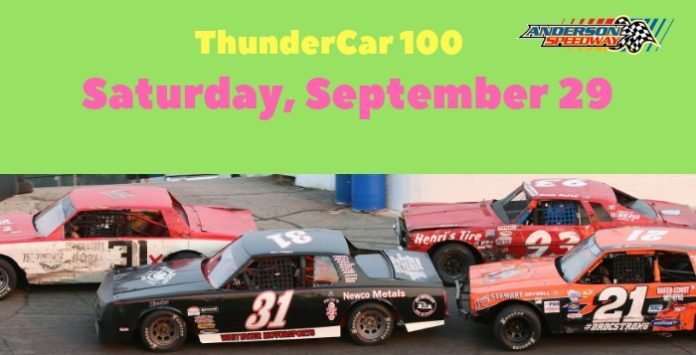 The drivers of the Thunder Car division will be competing in their premier event of the year at Anderson Speedway this Saturday. The Thunder Car drivers will be competing in a 100-lap feature along with season championship events for the Marcum Welding Front Wheel Drive and Hart’s Auto Fire 8 divisions. Four drivers have visited the Star Financial Victory Lane in Thunder Car action with Ronnie Rose leading the way with five wins followed by Dustin Sapp, Nick Warner and the most recent feature winner Earl Adams II. Last year Adams and Johnny Magee scored victories in 100 lap events for the Thunder Cars. 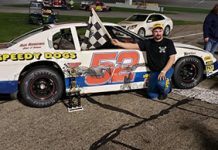 Randy Owen has five feature wins in the Marcum Welding Front Wheel Drive Division with Jeff Williams scoring two victories and Eli Haynes the most recent winner. 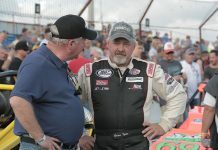 The combination of Ronnie Phipps and Shawn Cullen have recorded four feature wins with Kyle Allmond, Warner and Josh Tharp scoring victories. Qualifying is set for 6:30 p.m. with racing action at 8 p.m. 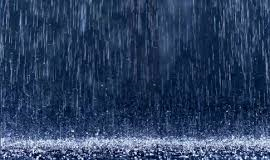 Adult tickets are $12 with $4 admission for children between the age of 6 and 12 years of age.